Temperatures in Singapore, 100 kilometers north of the equator, are pretty much always the same, all year long. 26 Celsius in the deep of night, 32 at high noon. 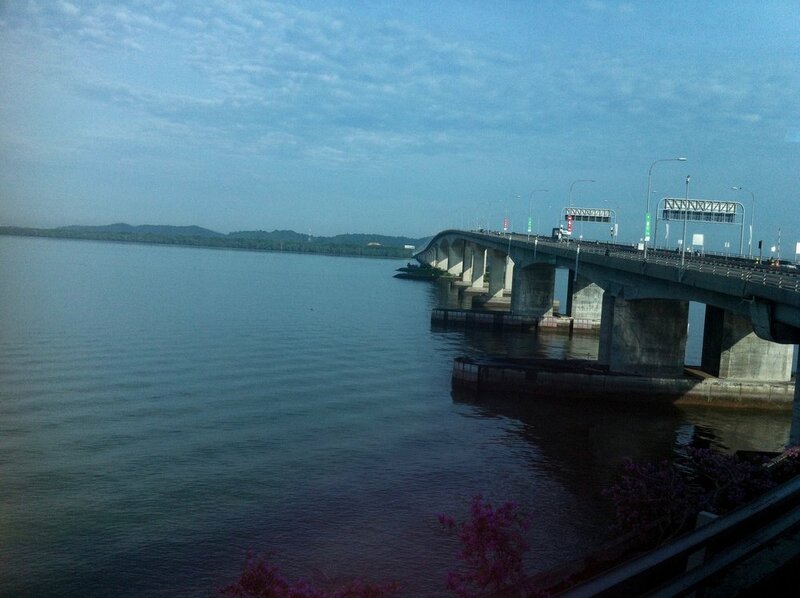 Lately, it’s been getting chilly around the Johor Strait though - the border between Singapore and Malaysia. The two countries are battling it out over both their sea and air borders. So far with words and Facebook videos only, but a quick resolution seems unlikely. Malaysia has extended the limits of its Johor Bahru port, which according to Singapore now ‘encroach into Singapore’s territorial waters’. In the past week, 14 Malaysian government vessels are said to have trespassed into Singaporean waters without permission. Today, 13 December 2018, Singapore has filed a declaration under the United Nations Convention on the Law of the Sea (UNCLOS), opening the door to adjudication by the International Tribunal for the Law of the Sea in Hamburg, Germany. At the same time, Malaysia is protesting Singapore’s use and control of airspace over Johor, which Singapore says is needed to land planes safely at Selatar, its secondary civilian airport. Singapore says it can do this based on a 1974 agreement with Malaysia. The government in Kuala Lumpur however, which came into power this spring, is having none of it. Malaysia is far bigger in land mass and population, but Singapore massively outshines it economically. The 2017 GPD per capita in the island republic is USD 57,714.30. For Malaysia, that number is USD 9,945.00. Singapore is the only nation in the world that became independent against its will. It was kicked out of the Malaysian Federation in 1965, in short because deep ideological differences between ethnically Malay dominated parts of the federation and ethnically Chinese dominated Singapore. While there’s always been a competitive relationship between Malaysians and Singaporeans, especially in the last decennium things went alright on government levels. Singapore being a tiny island without any natural resources depends on Malaysia, for example for its drinking water. Under the government of former Malaysian premier Najib Razak things went exceptionally smooth in general. Razak got sacked after elections in May this year, though. He’s currently facing charges on corruption totaling tens of millions of US dollars. The new Malaysian leader is the old Mahathir Mohamad, a 93-year old who was also prime minister from 1981 to 2003. The relationship between Malaysia and Singapore was definitely confrontational during those years. Mahathir might feel like firing up the squabbles with Singapore, because he’s always had it in for that country and its ruling Lee family. He has called Singaporeans a ‘selfish lot’. If things don’t ease up, Mahathir could always choose to unilaterally close the two bridges that link Malaysia and Singapore. That would limit Singaporeans who want to get out of the country for a beach weekend abroad with ferries to Indonesia as an option. Oh, and Changi Airport, elected the world’s best for six years in a row now. Not too shabby an alternative over the notoriously traffic jammed bridges to Malaysia.